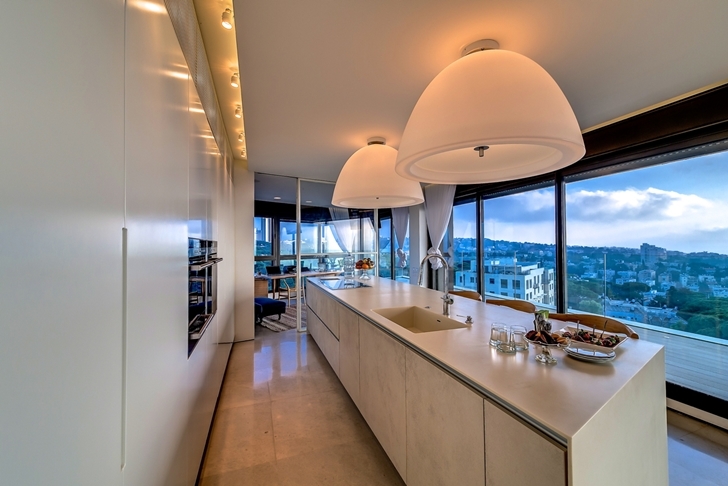 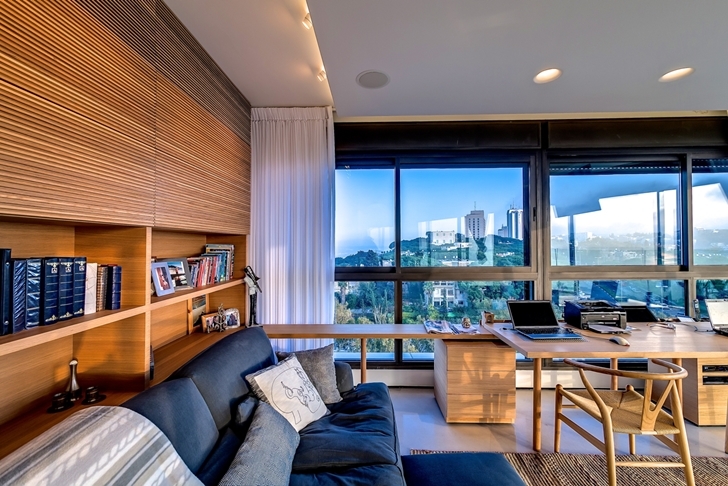 This beautiful modern penthouse apartment is designed by Italian designer Alex Menashe. 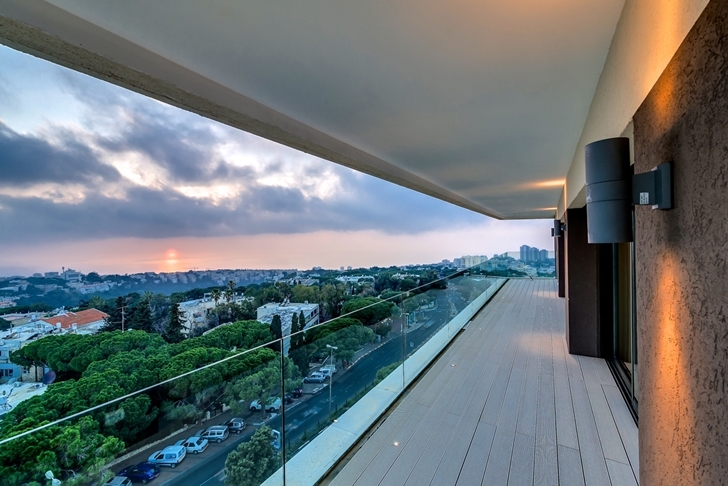 It is located in Haifa, the largest city in northern Israel. 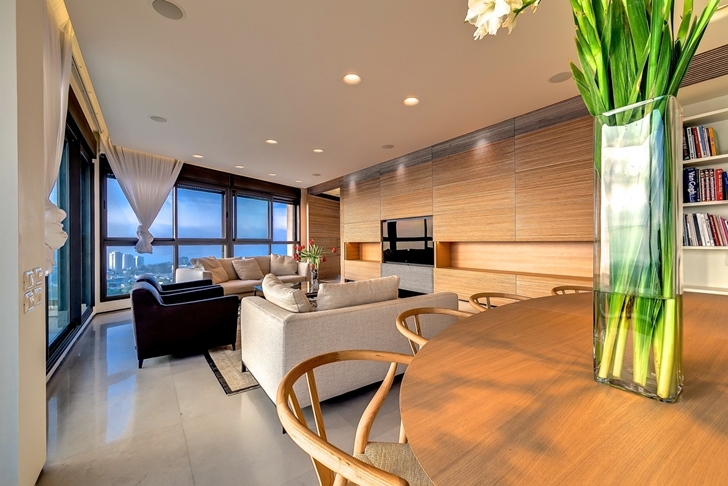 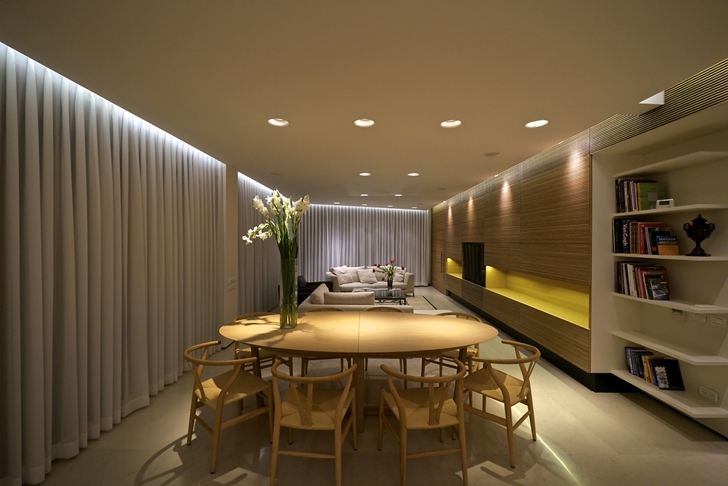 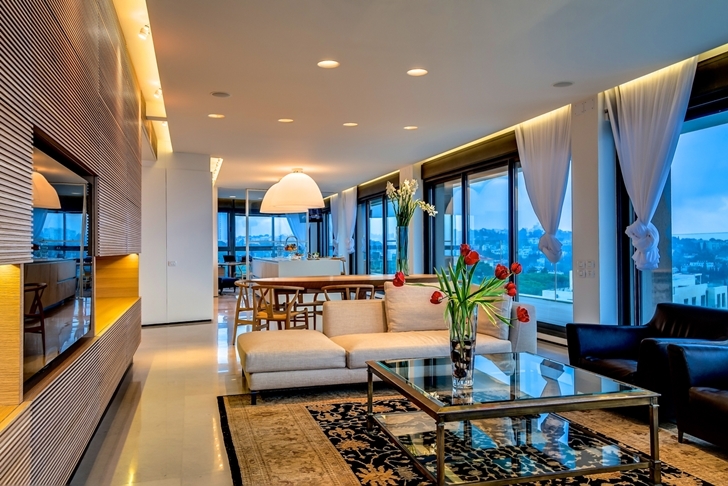 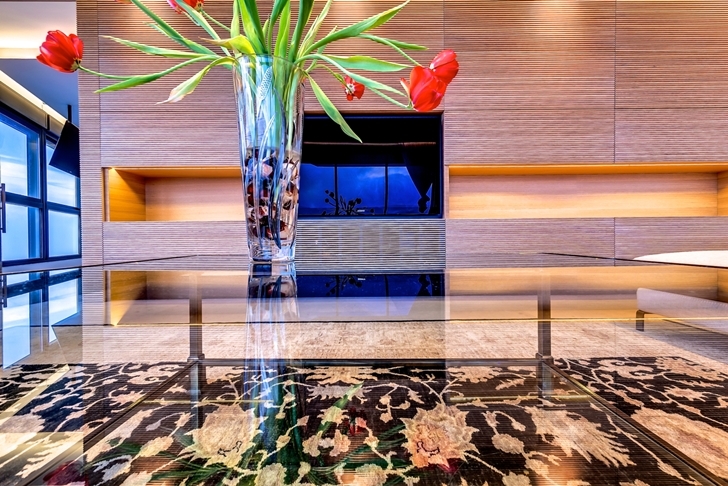 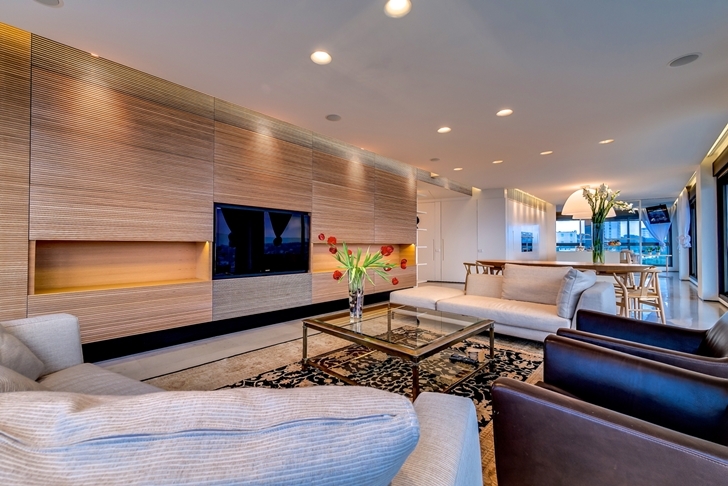 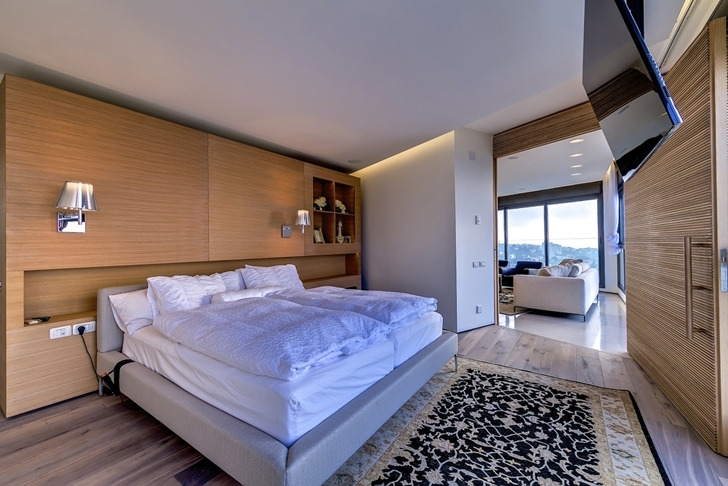 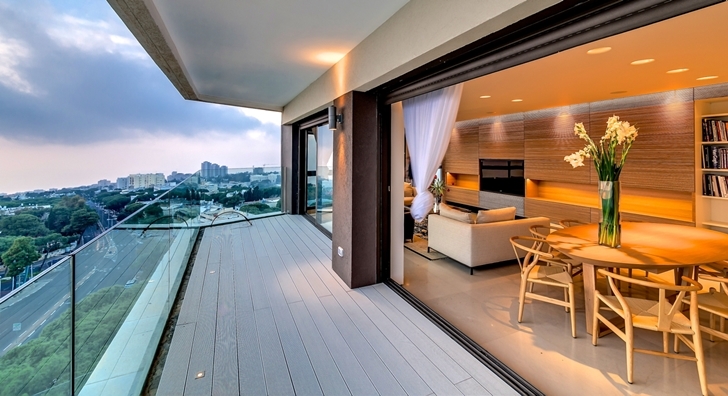 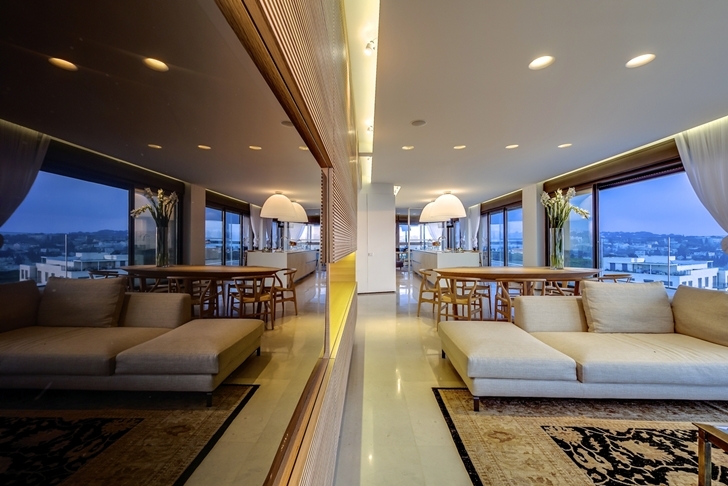 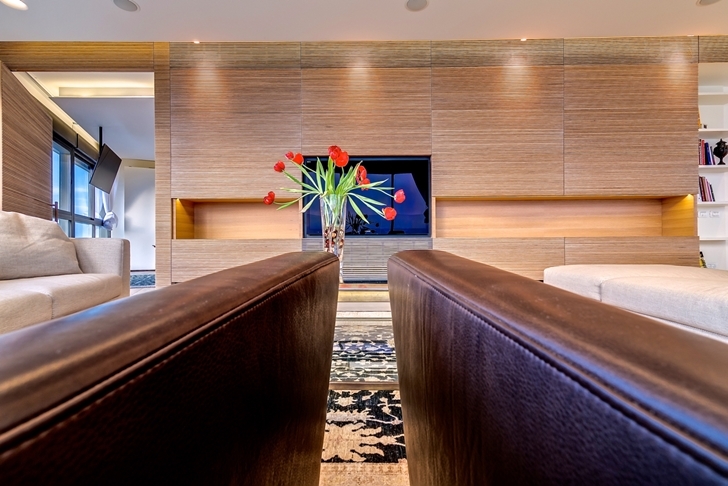 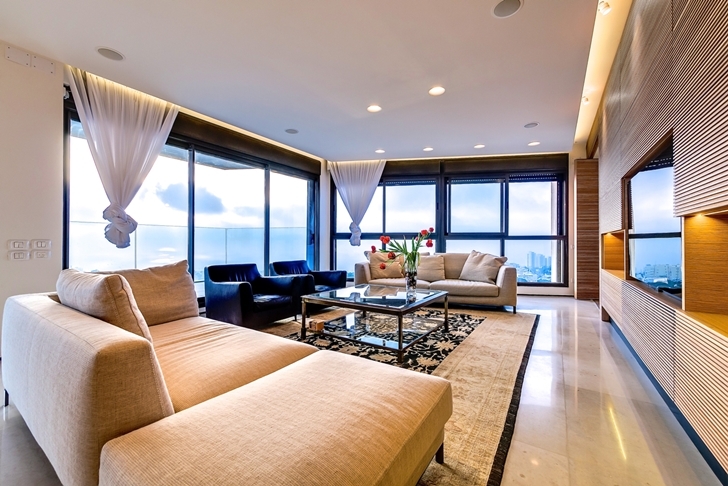 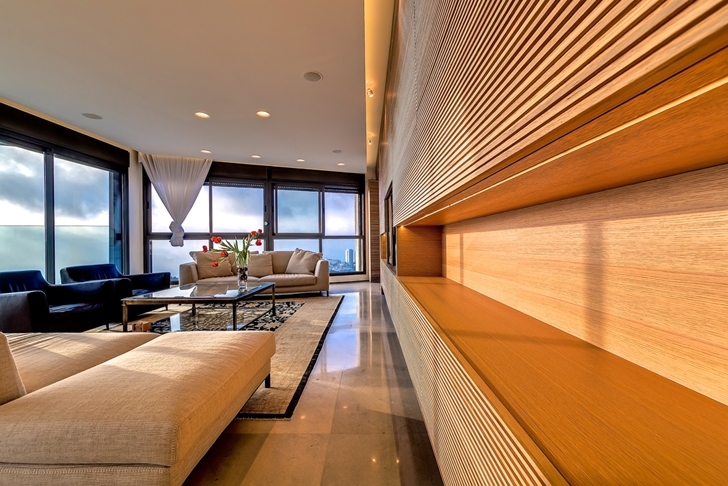 Interior design is on high-end penthouse level, modern, classy and elegant. 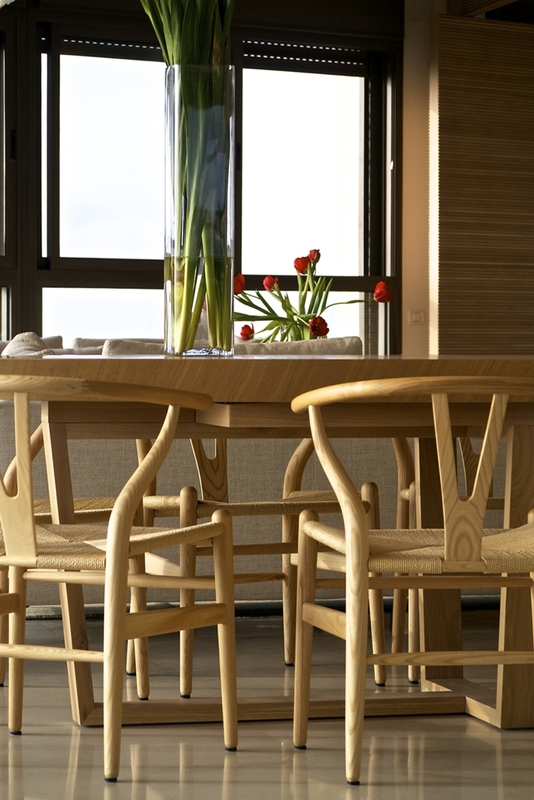 Desor is focused on wood which created warm and welcoming atmosphere. 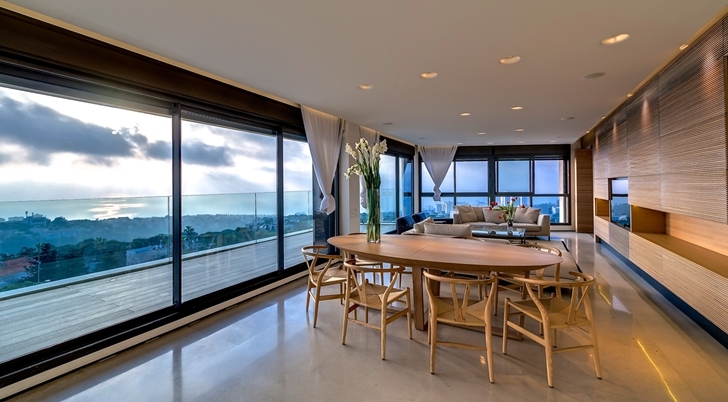 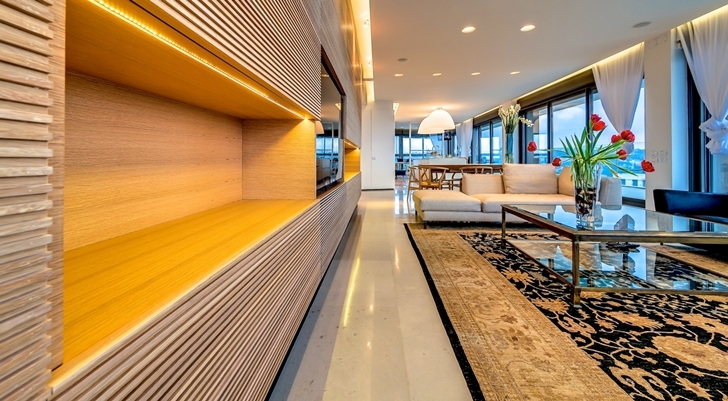 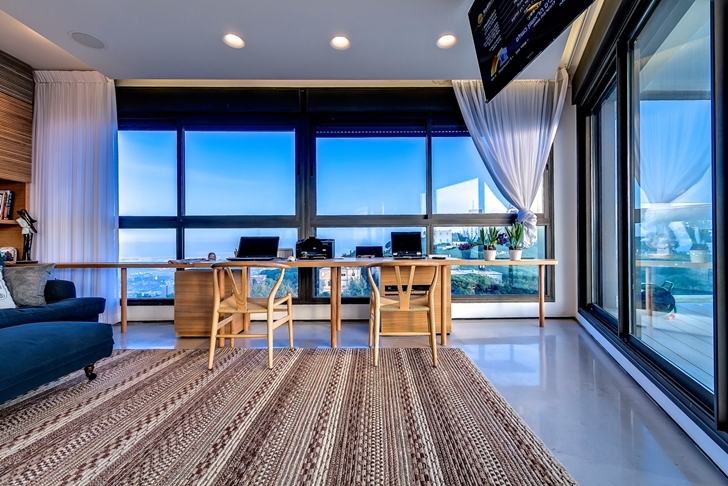 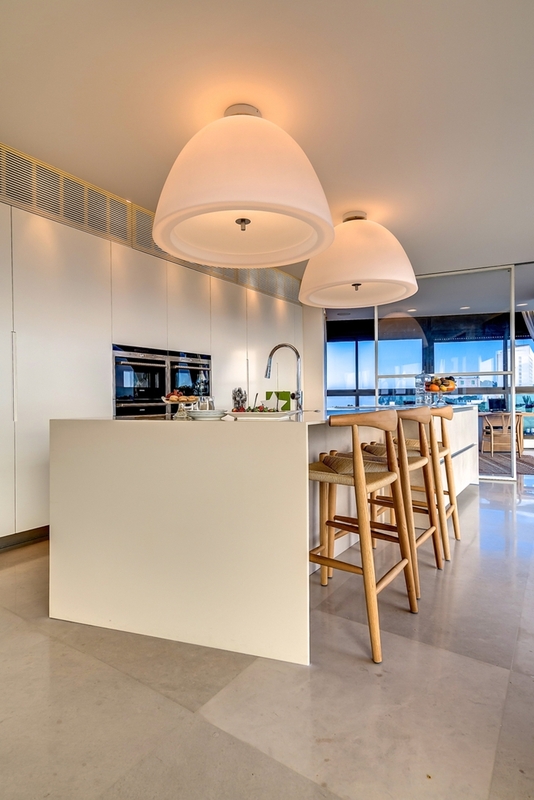 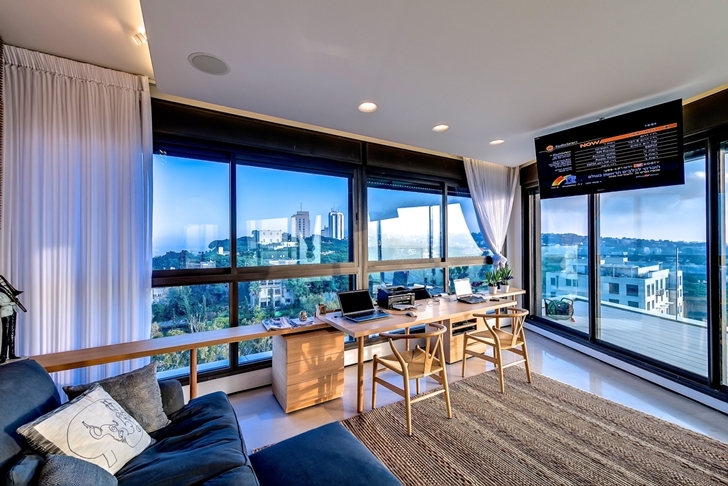 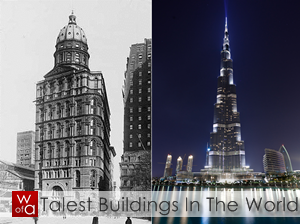 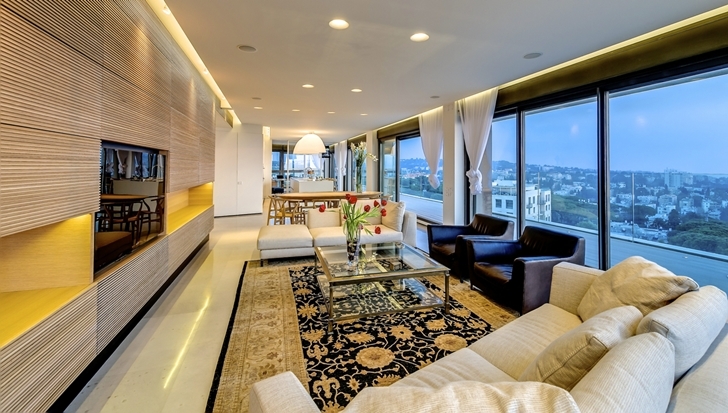 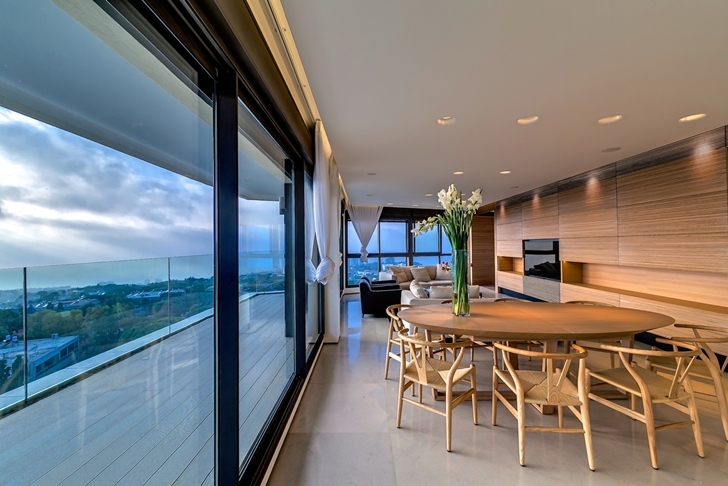 Read next: One Of The Best Penthouses For Sale Ever! 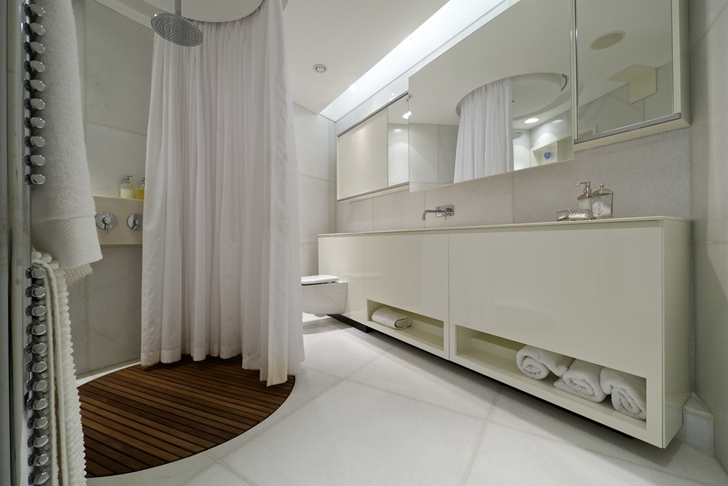 White modern bathroom has quite interesting design, especially shower corner. 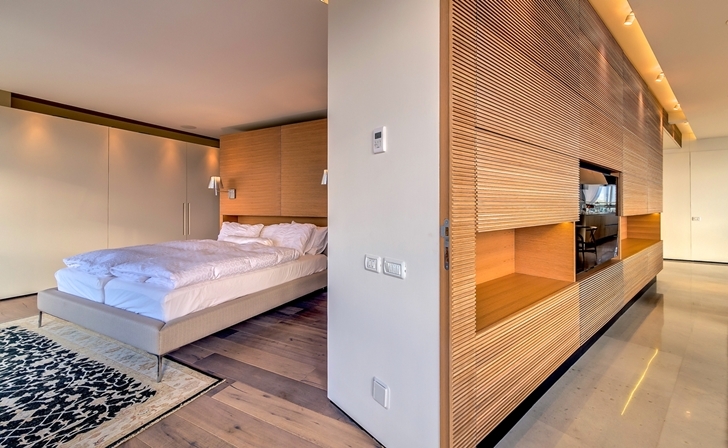 There's no cabin or bath tub. 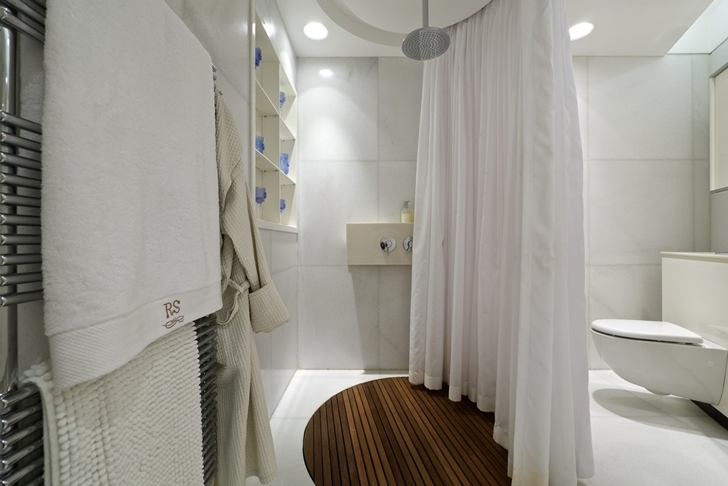 Part of the bathroom is designed to be simple shower corner, not taking any physical space. 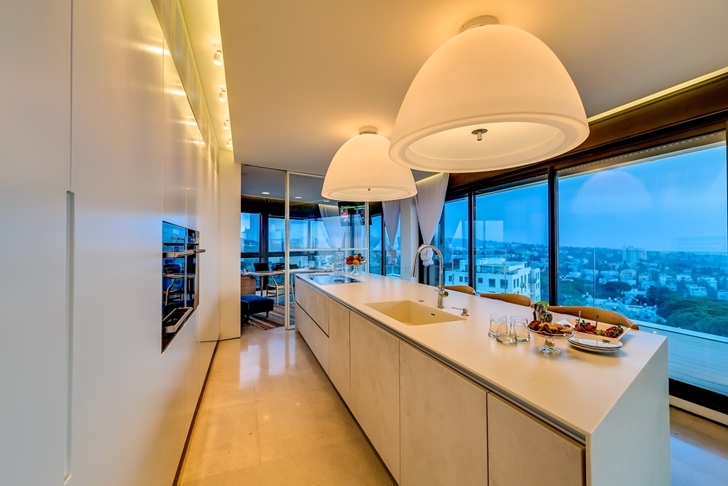 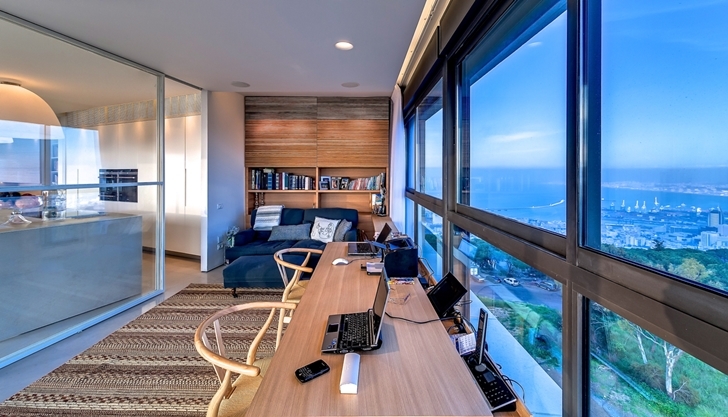 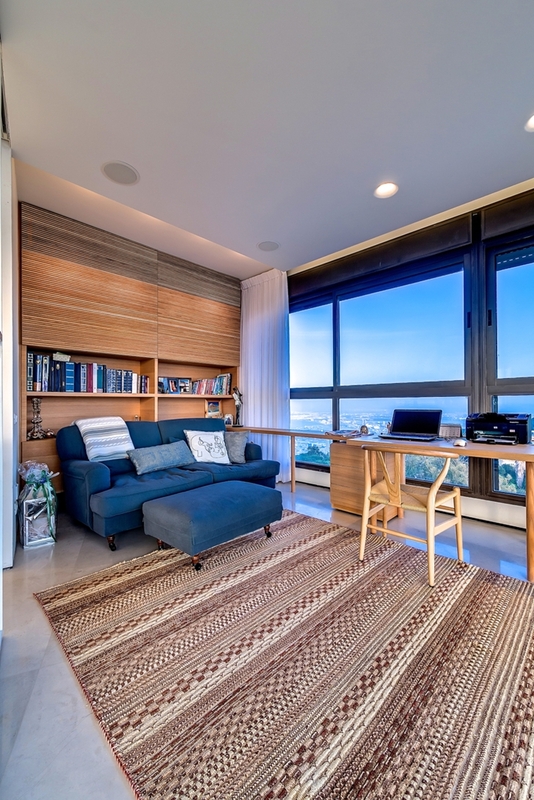 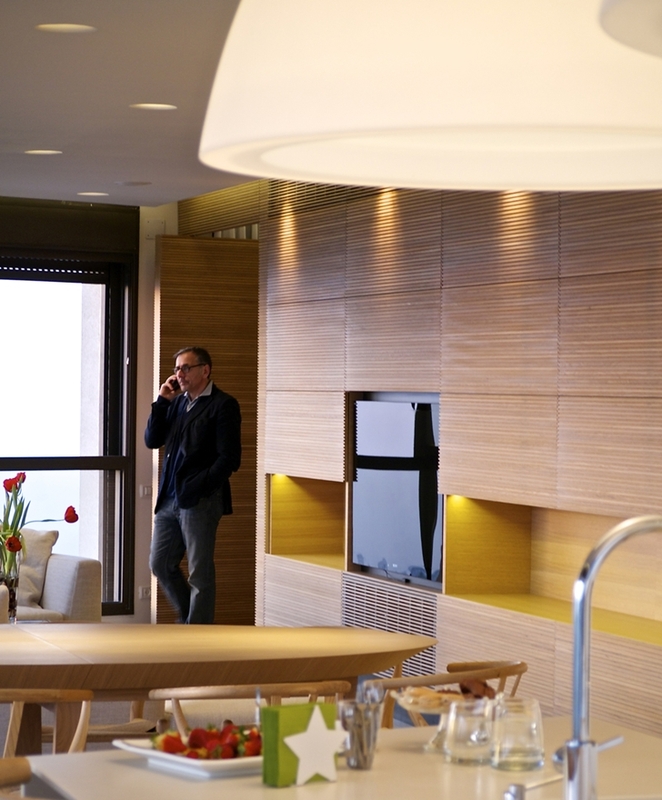 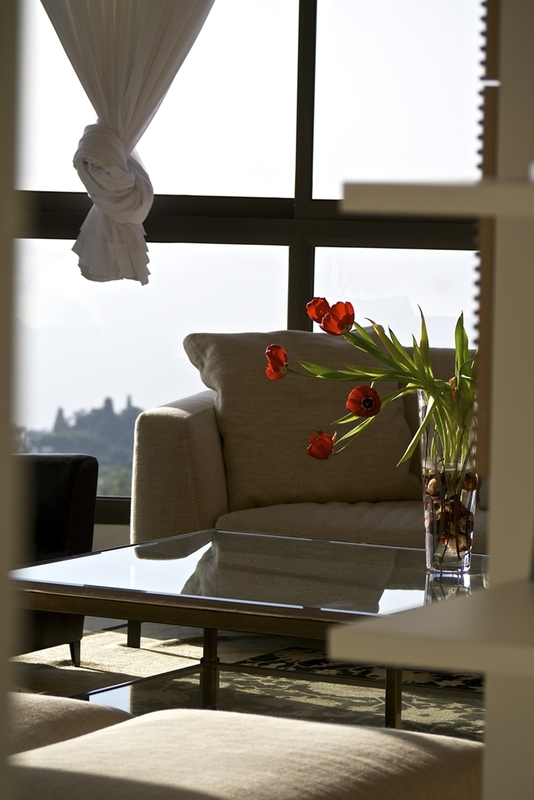 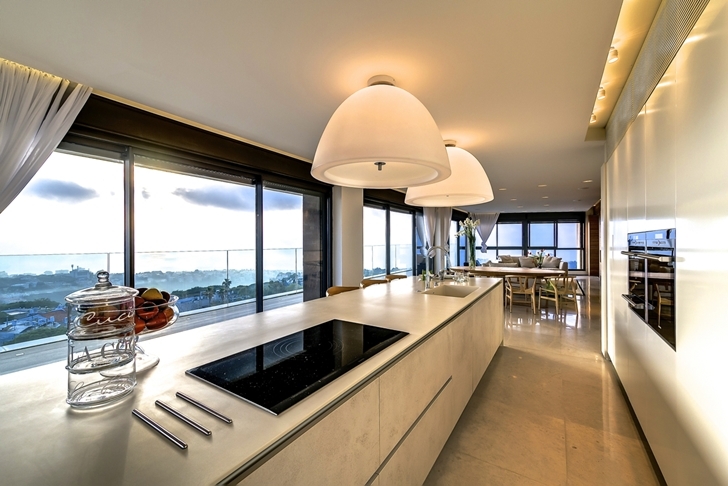 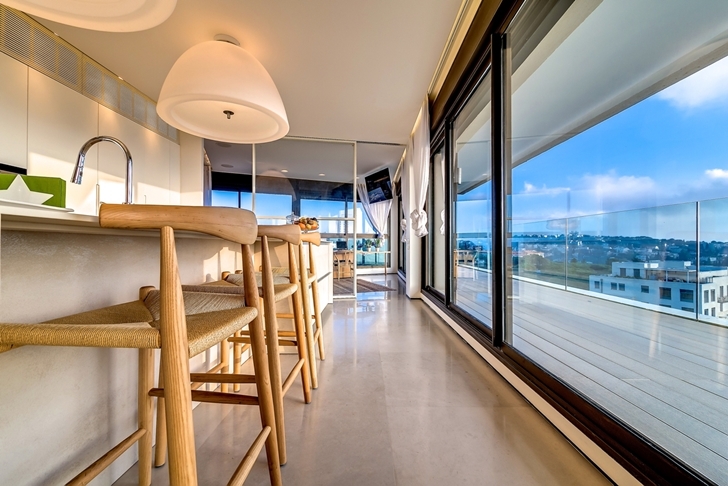 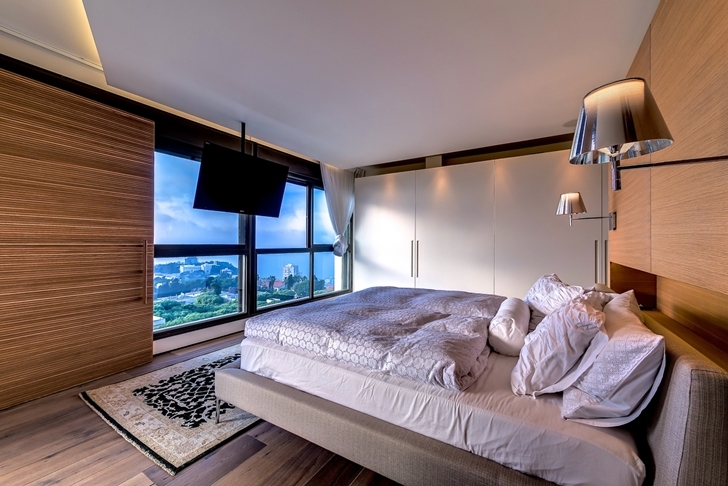 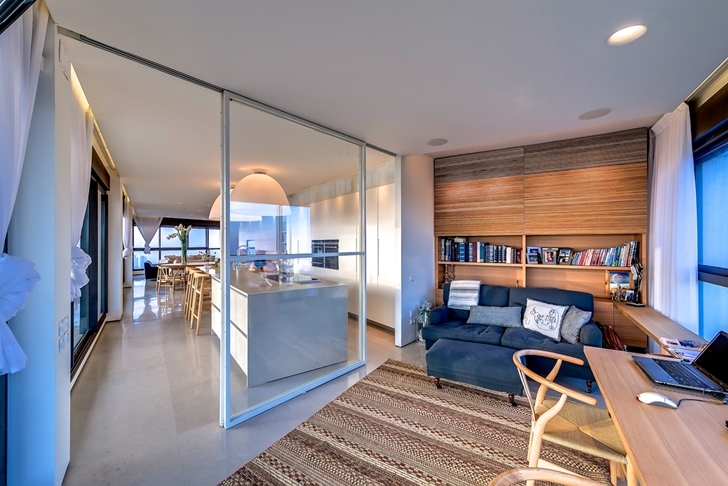 Take a look at those beautiful photos taken by Itay Sikolski and let us know if you like this penthouse apartment.